Clinical research trial was carried out on four grown adult on sleep disorder for three days, three out of the four had blood glucose level which makes them pre-diabetic. Research has show that the lack of good sleep could lead to heart disease, diabetes, and even obesity. Sleep disorder affects ones love life. According to research, 26% of people with sleep disorder can't perform in bed because they complain of being tired. Not having enough sleep reduces the leptin level. This is the body hormone that gives you the feeling of being full. People who don't get enough sleep tend to be hungrier and they crave for food with high fat and high calories which would make them gain weight. When one don't sleep, one gets tired and lazy to do regular work out; this could lead to obesity. Sleep could help reduce pain. When you are in pain and you sleep the pain tend to reduce. That is why some doctors prescribe pain reliever with sedative. 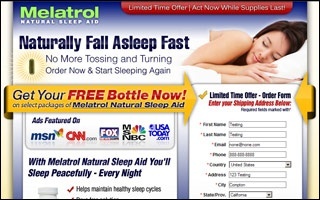 If you have sleep disorder or insomnia, TCM has something you might want to consider it's called Melatrol. Download TCM mobile app for further understanding on TCM products and practices.